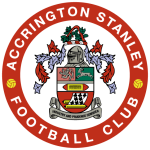 Accrington vs Rochdale predictions for Tuesday’s League One fixture at Crown Ground. Both teams need to win to keep their hopes of survival alive. Continue reading below for all our free tips and predictions. Prior to Saturday’s game at Kingsmeadow, Accrington were dropping rapidly towards the drop-zone, though they stopped the rot by holding AFC Wimbledon to a draw. As things stand, Stanley are two points above the bottom four, though their safety is far from assured. This home match against a Rochdale side that is currently three points below them is nothing other than a must-win fixture. Accrington did manage to hold on to a point at the weekend, though if we dig a little deeper than the result, it’s easy to feel that John Coleman’s men were mightily fortunate to do so. Going forward, Stanley were in the game, as they scored and created 1.12 expected goals, though they were once again poor at the back, as they allowed Wimbledon to amass 19 shots. The fact that they conceded 2.88 expected goals tells us that they were lucky to both concede just once and avoid losing the game. Even at home, Stanley have given a bit too much away of late. They shipped three goals and 2.22 expected goals in their most recent home match, while they’re now without a clean sheet in six at Crown Ground, which is especially disappointing when we consider the fact that they’ve failed to score in three of those six. In truth, Stanley’s recent attacking efforts at home have been poor; they’ve scored just one goal in their last four at home, while their recent expected-goals for numbers of 0.45, 0.94, 0.51, 0.35 and 0.77 tell us that they’ve found it tough to create scoring opportunities. Rochdale also struggled to create last time out, though they did so against a very strong Sunderland side. Interestingly, Accrington recently created 0.45 expected goals and conceded 2.22 against the Black Cats, while Rochdale created 0.51 and conceded just 0.84 against the same opponents on Saturday. 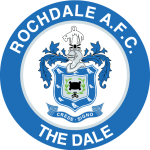 Prior to their narrow defeat against Sunderland, Rochdale were unbeaten in four, while they come into this game having secured a draw away at Gillingham last time out. Like Accrington, Rochdale aren’t exactly secure at the back, though their recent attacking efforts suggest that they’ve got more about them going forward, which could be crucial on Tuesday evening. While Stanley have scored just a single goal in their last three matches, Rochdale have notched five. They’ve also done a much better job of getting close to their opponents in terms of creativity. When we consider the fact that Rochdale have bettered Stanley in terms of attacking play in recent weeks, alongside the fact that they were far more competitive against promotion-chasers Sunderland than Accrington were, it becomes relatively easy to feel that the visitors should be a tad shorter in the betting ahead of this match. On that basis, a small bet on ‘Rochdale Draw No Bet’ stands out as a viable option. Against Sunderland recently, Accrington conceded 2.22 expected goals, while Rochdale conceded just 0.84 against the same opponent. Against Sunderland recently, Accrington emerged with an expected goal difference of -1.77, while Rochdale emerged with an expected goal difference of -0.33 against the same opponent. Accrington have scored just one goal in their last four home matches in League One. In their last five at home in League One, Accrington have averaged a measly 0.6 expected goals for.